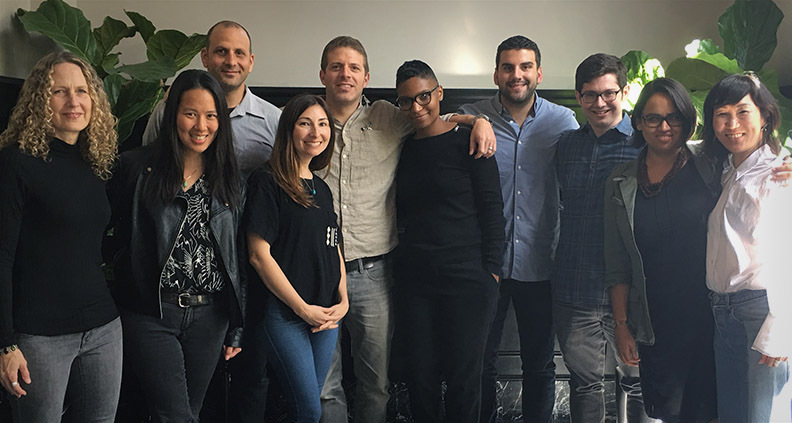 In case you didn’t know, the non-Member deadline to apply for the 2017 Film Independent Screenwriting Lab is coming up on Monday, February 27. We asked one of last year’s Fellows, Felicia Pride, to pen a guest blog chronicling her experiences and journey through the program. This is what she had to say. During the 2016 Film Independent Screenwriting Lab, my father had to be rushed to the emergency room after being found unconscious on the bathroom floor. A couple of months prior, he had been diagnosed with Stage 2 Hodgkin’s lymphoma, a disease he has been battling off and on for the last 20 years. When I flew home, he looked worse than I expected. Anyone visiting his room had to wear a mask and full body suit because his immune system was so weak. He could barely speak, but when he did, his were words of defeat. I went into battle mode, working with my family to ensure he was getting proper treatment and reminding him of his warrior self, while not exposing the emotional wreck I was inside. His health steadily improved, enough for me to comfortably return to LA, where I threw myself back into routine. Fast-forward to the last week of the 2016 Screenwriting Lab, where we were having a master class with Meg LeFauve, who was a screenwriter on the blockbuster Inside Out, for which she won an Annie Award for best screenplay and was nominated for an Academy Award. She was sharing her insights into the writing process while also responding to pitches from Fellows—my project being one of them. I was fascinated by Meg’s approach to screenwriting, one rooted in psychology. Not just the psychology of your characters—but your psychology as artist, as a human being with fears, baggage, and unresolved childhoods. Deep stuff. And that’s where Meg pushed us to go with our work, deep. Most of us, she guessed correctly, had reached this point in our careers because we’re smart. But if we wanted to tell stories that made people feel, we would have to shed our tendency to intellectualize and replace it with an ability to sit deeply in our own vulnerability. Our power as artists is in our vulnerability, she told us. Vulnerability is what makes our work human, and is ultimately why audiences will attach to it. The main character in my screenplay OpenEnded is an artist, a painter who is on the verge of either breaking out or giving up. I was doing a fairly inarticulate job of explaining his emotional plight to Meg. She probed me to go deeper. What does he really believe? Why? Why? Why? I shared that sometimes he wishes he could be “normal” and not saddled with these artistic ambitions. Somehow in her screenwriter-whisperer way, she unearthed that I was actually talking about myself—my father always tells me that I become frustrated when I try to normalize myself. You put your main character in a bubble because that’s you, she explained. You don’t want them to go through anything that hard. She turned the focus from my character to me. Something’s blocking you, she kept saying. She wanted me to pull off my mask. She wanted to know about the stories I’ve told myself, the ones about who I am and how the world works. She was pushing me to go there. And that’s when the tears started forming. Yes, tears! I fought like hell to keep them at bay. For me, there is a mix of shame, confusion and insecurity as an artist, daughter, partner and woman. There means connecting the dots to my father, with whom I’ve had both a tumultuous and glorious relationship. Although not an artist himself, my father understands me. My bouts with self-doubt. The burning, incessant need which keeps me up at night to share my work with the world. Because he’s been there—to his own detriment and, in many ways, that of his family—he believes in me, possibly more than himself. In me, he may see his own unrealized potential. There is pressure. There is a scary place. Oh, how the tears flowed. The images surfaced. The memories flooded. I was transported to the day that I flew back to LA. My father called me to his bed and told me that I had the experiences I needed to be the writer I wanted to be, I just needed to embrace them. It was an out-of-body experience. I was watching myself fight to remain in the shallow end where it’s safe. Afterward, Meg gave me a hug and commended me for being brave. Fellow Lab members expressed that I wasn’t alone; they were right there with me. It would take days for me to process it all. Vulnerability was a recurring thread throughout the Lab. It was in sharing our work with strangers, but trusting them with our words and being open to their feedback. It was in the nurturing way that our wonderful script consultant Ruth Atkinson encouraged us to imagine different possibilities for our work. It was shown by Jennifer Sharzer during her very honest discussion about the joys and challenges of a screenwriting career. It was expressed by my creative advisor Jeff Stockwell, who shared his personal experiences when providing feedback on my script. It was in sharing an un-replicable experience and forming a bond with an incredibly talented group of artists. The Lab was a breakthrough that I didn’t know I needed. Not just for this singular screenplay, but for my ongoing artistic career. Those five weeks were as much about embracing my power as they were about craft. If you want to be an artist, you have to appear, Meg shared with us. I can honestly and gratefully say that I appeared during the Screenwriting Lab. And because of this awesome experience, I will continue to show up—with authenticity and vulnerability—in my work and in life. Special thanks to Joshua Tate for sharing the wonderful notes that he took during our Meg LeFauve session while I was busy crying. Visit Felicia online at feliciapride.com. And to learn more about the 2016 Film Independent Screenwriting Lab including how to apply, click here. The deadline for general submissions is February 27. The deadline for Film Independent Members to apply is extended until March 13. Learn how to become a Member of Film Independent by clicking here.